Hypertension – or abnormally high blood pressure – can be a silent killer. It has no symptoms and can go unnoticed for years. When left untreated, high blood pressure can damage the blood vessels and lead to a host of serious problems such as heart disease, kidney disease, and stroke. Around 75 million Americans suffer from high blood pressure, according to the Centers for Disease Control and Prevention. Risk factors include family history, age, gender, race, and lifestyle. If you watch what you eat, you can lower your risk for hypertension. Your diet must consist of foods that are low in sodium and rich in potassium, magnesium, and fiber. Here are 10 foods that help lower blood pressure. If you do not have access to fresh vegetables, frozen greens are a good alternative. Avoid canned veggies as they may contain added sodium. Bananas are rich in potassium – a mineral that plays a vital role in managing blood pressure. Eat a banana after a meal, or add a few slices to your cereal or oatmeal for a potassium-rich breakfast. If you have kidney disease, talk to your doctor first as too much potassium can be harmful. Blueberries, raspberries, and strawberries are rich in natural compounds called flavonoids. According to a study, consuming berries might prevent hypertension and help lower blood pressure. Frozen berries are great for dessert. They also make a delicious companion to cereal or granola in the morning. Beets contain nitrates that are a source of nitric oxide. A natural vasodilator, nitric oxide helps widen your blood vessels and allow blood to flow with greater ease, leading to lower blood pressure. You can roast beetroots or add them to salads or stews. You can also put them in a juicer for a refreshing smoothie. Salmon and mackerel contain high amounts of Omega-3 fatty acids which can lower blood pressure. They also help reduce inflammation and lower triglycerides. Another popular type of fish – the trout – is rich in vitamin D.
Herbs and spices can also help increase the amount of nitric oxide in your body. They add flavor to your dishes, so you do not have to put in a lot of salt. Some of the herbs and spices you might want to add to your pantry are garlic, basil, thyme, rosemary, and cinnamon. Seeds are high in potassium, magnesium, and other minerals that are known to lower blood pressure. Feel free to snack on sunflower, pumpkin, or squash seeds in between meals. Just be sure that they are unsalted. Not all sweets are bad for you. Cocoa – the main ingredient in chocolate – contains compounds called flavanols which can be beneficial to cardiovascular health. One study suggests that consuming 100 grams of dark chocolate per day can help relax the arteries and decrease systolic and diastolic blood pressure. Choose the darkest chocolate you can find – at least 70 percent cocoa – and add a square to yogurt or fruits as a healthy dessert. Olive oil is a healthier alternative to fatty ingredients like butter, canola oil, and bottled salad dressing. According to research, consuming around two tablespoons of olive oil daily can lower systolic blood pressure by an average of 4.2 mmHg and diastolic pressure by an average of 2.1 mmHg. Look for the highest quality extra virgin olive oil for maximum health benefits. 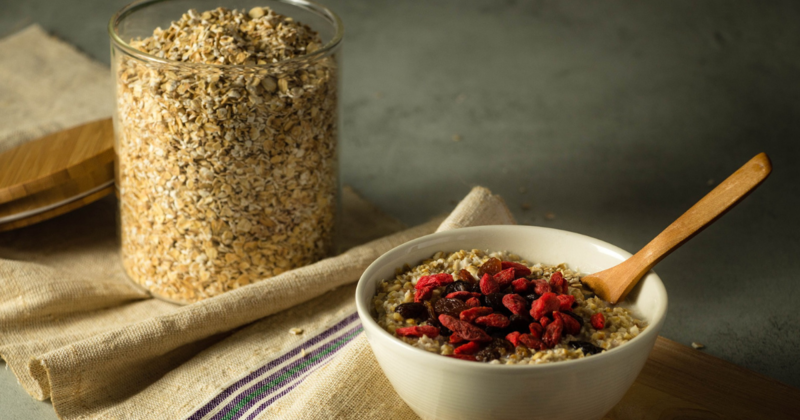 Oatmeal is a high-fiber, low-fat, and low-sodium way to lower your blood pressure. Start your day with a bowl of oats, milk, and fruit for all-day energy. Rolled oats are also an excellent coating substitute for breadcrumbs if you want to add texture to meat or veggies. Pistachios are a natural way to reduce blood pressure, vascular resistance, and heart rate. In one study, researchers found that a serving of pistachios a day helps lower blood pressure. Another study showed that pistachios may reduce the tightness of blood vessels during times of stress. Snack on plain unsalted pistachios, toss them into salads, add them to crusts, or blend them into pesto sauce. If you live in the greater Miami area and are suffering from high blood pressure visit our Hialeah clinic. Our family doctors specialize in hypertension, diabetes and other common ailments. For over 20 years, GMP Medical has been serving the residents of Hialeah, Miami, Doral, Perrine, Cutler Ridge, Coral Gables, South Miami, Pembroke Pines, Miami Lakes, Kendall, and Miami Springs. Give us a call today at (305) 823-2433.